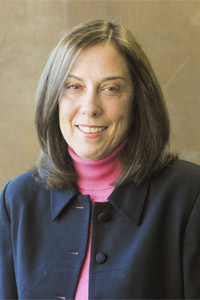 Dr. Karen Karp is a professor of mathematics education at the University of Louisville (Kentucky). Karen is co-author of Elementary and Middle School Mathematics: Teaching Developmentally, Growing Professionally: Readings from NCTM Publications for Grades K-8, Developing Essential Understanding of Addition and Subtraction for Teaching Mathematics in Pre-K-Grade 2 and numerous book chapters and articles. She is a former member of the Board of Directors of the National Council of Teachers of Mathematics (NCTM) and a former president of the Association of Mathematics Teacher Educators (AMTE). While on the NCTM Board, Karen was Co-PI on a grant to bring together teams of mathematics educators and special educators to develop research and professional development projects to support the teaching of mathematics to students with disabilities. In addition to Karen’s background as a certified mathematics teacher, she is a certified special education teacher. She continues to work in classrooms to support teachers of students with disabilities in their mathematics instruction.